The Wait is Over !!!! 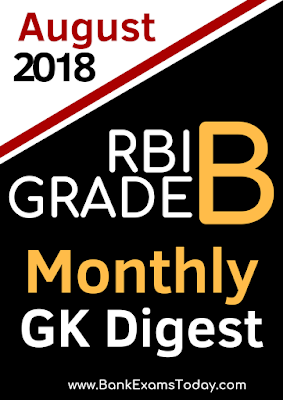 RBI GRADE B Monthly GK Digest August 2018 Edition is Out Now! The exam is approaching fast and Team BankExamsToday wishes you "All The Best". May you come out with flying colours!! As you know our team has worked extremely hard to provide you with the comprehensive study material, we would appreciate if you fill this form for us.